Have you heard about Indie Pattern Month? Mel and I co-hosted it last year, and so much fun doing so. And it’s happening right now, for the second year in a row! Yay! This year, to keep everything in one place and make it super easy for everyone to follow along and take part, we’re hosting it over on The Monthly Stitch. It’s also bigger and better than last year, oh yes it is! 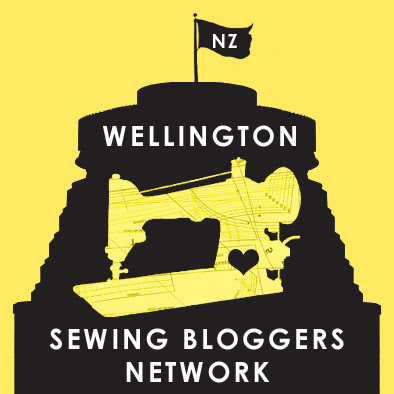 One of the changes we made this year is the addition of sewing contests. Four contests, one per week during June, with prizes from amazing sponsors. Each contest has a theme. You can read all about them (and the sponsors and the prizes) over here. 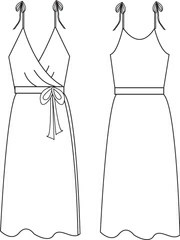 The first of the themes was ‘Dresses‘ – nice and easy, just make a dress from an indie pattern. 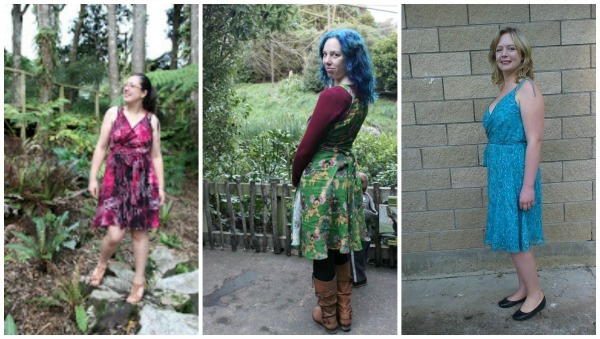 It was pretty easy to decide which dress to make, too. 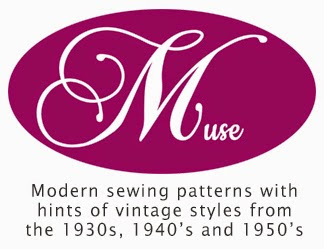 A couple of months back, Mel and I asked people to vote on which indie pattern we should make for our next ‘twinsies’ sewing mission. 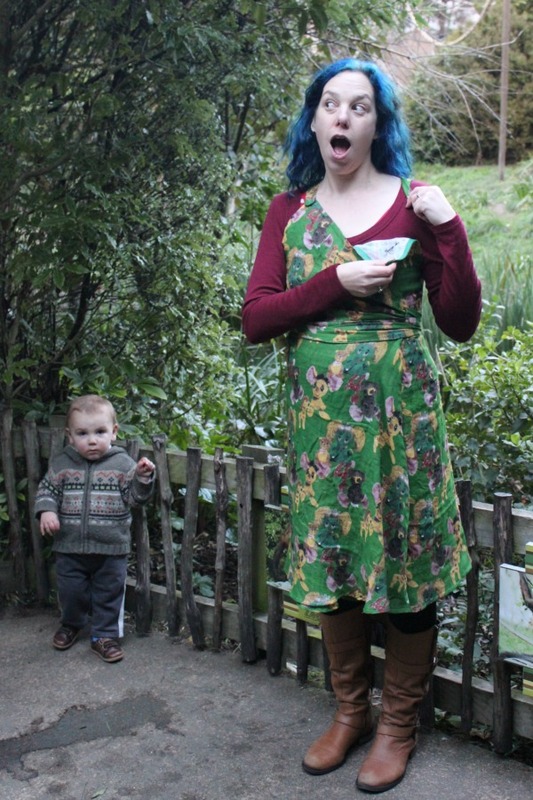 The Colette Rooibos won, but before we could start on it, I found out I was pregnant (yay! ), which meant I wouldn’t be able to fit the Rooibos for long, if at all, due to it’s fitted waist. 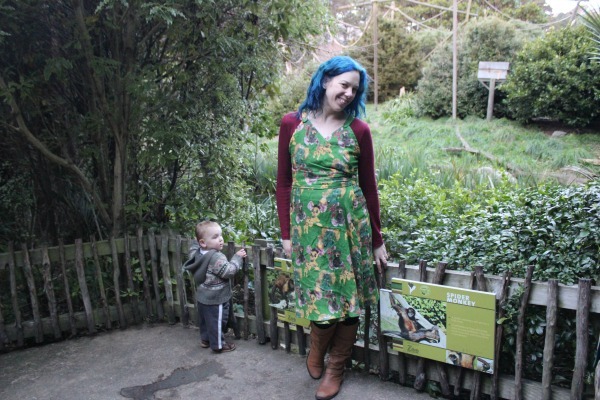 Luckily, the pattern that came in a close second in the voting is a lot more pregnancy friendly – the Midsummer Nights Dream wrap dress from Papercut. Mel made her one out of a gorgeous pink-and-black patterned viscose crepe that she bought ‘specially for it. Juliet made her’s out of a pretty blue silk, soft and floaty and sheer, which she underlined in blue. And I broke all the fabric-suggestion rules and made mine out of a loose weave cotton. I made some other changes to my version of the dress as well. I lengthened the waist ties coz a) I like long waist ties, and b) I wanted to make absolutely sure that they wouldn’t be too short to go around ‘the bump’. 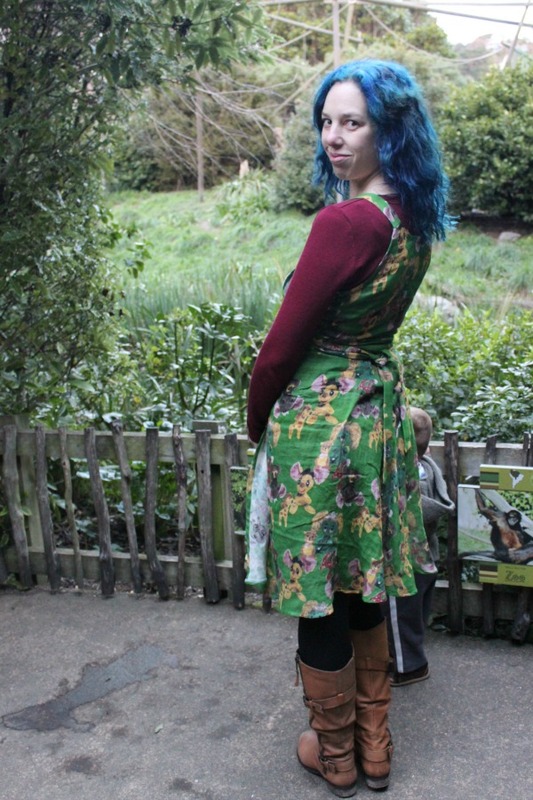 As with all Papercut dresses I make, I lengthened the skirt by 16cm. Rather than using bias binding on the neck and armhole edges, I added an extra 1cm seam on all the edges that were meant to be bound, attached cotton tape to them, and folded them under. Which would have worked a lot better if the fabric I was using didn’t have such a large amount of stretch across the bias. (Whoops.) But it didn’t work too badly, I don’t think…..? The other change I made was to the straps. The pattern calls for them to be made by extending the bias binding from the neckline up into shoulder ties, which is very cute (and which I did on my first Midsummer Nights Dream – yes, this is the second time I’ve made up this pattern). However, since we’re at the start of winter here, I wanted to have straps that sit smoothly against the shoulder so I can layer this dress with long-sleeved tops and cardigans. So instead, I made some wide straps and just stitched ’em on at the back. The fabric I used is an odd, loosely-woven cotton that has two layers – the top layer in green and with the print, and an underlayer in the same weave in white. I had no idea there were two layers until I started cutting – it came as a bit of a surprise, but didn’t cause any issues thankfully as they stayed together really well. I think that’s one of the reasons I love this dress so much – since I can’t fit most of my wardrobe at the moment, I’ve been feeling a bit less like ‘me’ as I haven’t been able to wear things that are my style most days. This dress? I love it – the design, the print, the colour. I feel like ‘me’ in it. And I can wear it for the next couple of months! Total win. 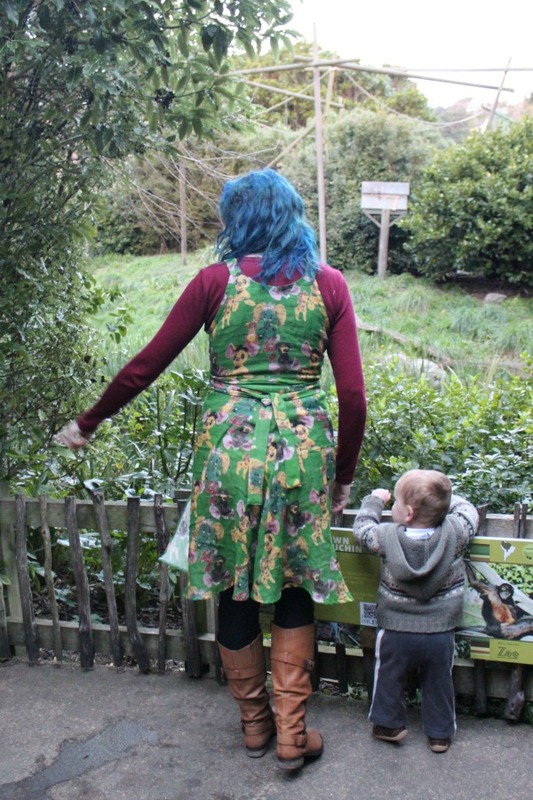 We went off to the zoo to take photos. 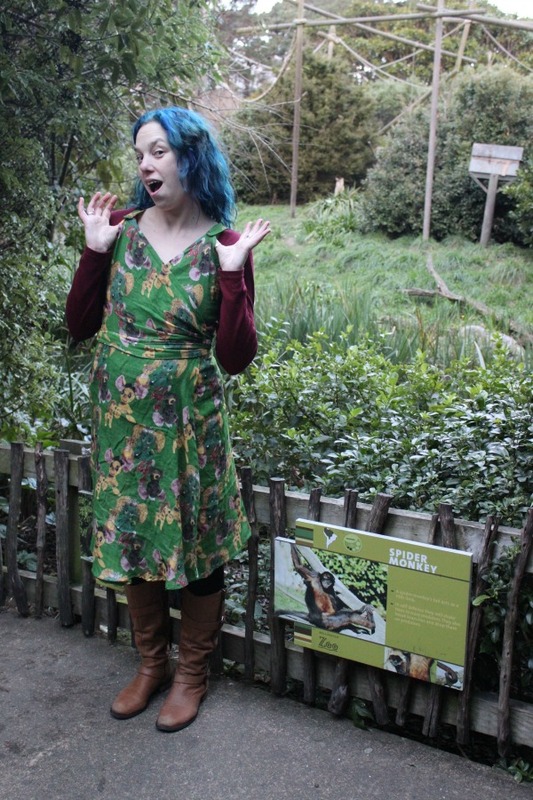 In theory there are spider monkeys somewhere in the enclosure behind me. We did spot them a bit later though, including one who was wandering along with a banana clutched in his tail – pretty awesome! Never seen that before. 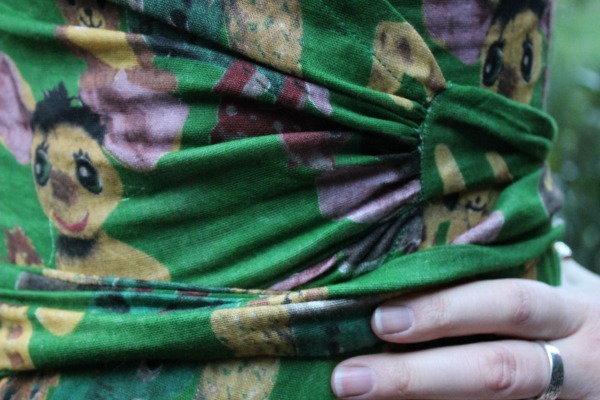 However, I failed to notice that of course busy green background + green printed dress = camouflage styles. Whoops! 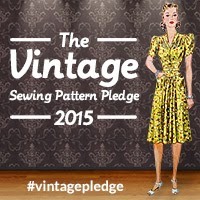 Are you taking part in Indie Pattern Month? Are you entering any of the contests? This entry was posted in Indie patterns, The Monthly Stitch, Things I've made, Twinsie patterns and tagged Indie pattern month, IPM2014, Midsummer Nights Dream, Midsummer Nights Dream dress, Papercut, Papercut patterns, Twinsies. Bookmark the permalink. Preggy dressing is kinda sucky, eh? 😦 I find it really makes me feel blah and not like myself, having to resort to wearing things I wouldn’t wear normally. Hence my current challenge-to-myself to make things I’ll wear afterwards and that I like to wear now! Because ugh, I don’t want another 4.5 months of hating my wardrobe when it usually gives me joy. viva la revolucion! Don’t let that bump get in the way of your style! What fabric are you going to make your one out of? Looking forward to seeing it! That fabric is double gauze! Japan is pretty obsessed with it in summer… suddenly it’s everywhere as pillowcases, handerkerchiefs, and clothing. I like it because it’s cosy in winter but cool in summer. Cute dress! 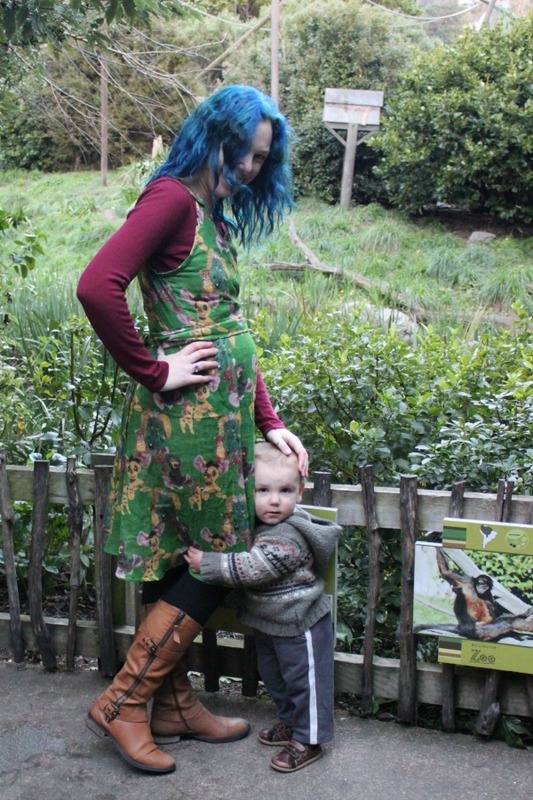 Finding “me” clothes for pregnancy is something I struggle with too and sewing is the perfect solution. Ugg. I know. 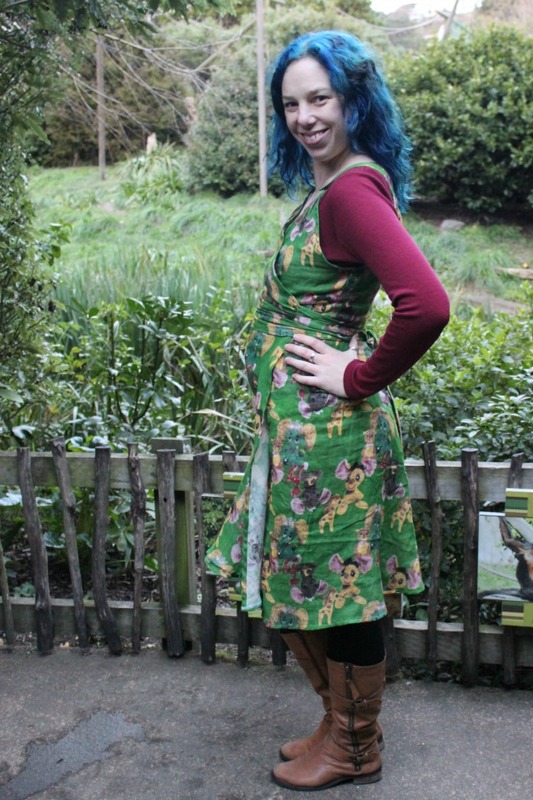 My pregnancy wardrobe finds no inspiration at all from maternity designers. This pregnancy I am trying to channel Anthropologie. such a cute dress! what a great idea snapping the straps, great thinking batman! Ahhhhh Drake!!!!! So cute! This is such a fun dress- I LOVE the print! And how clever are you?! 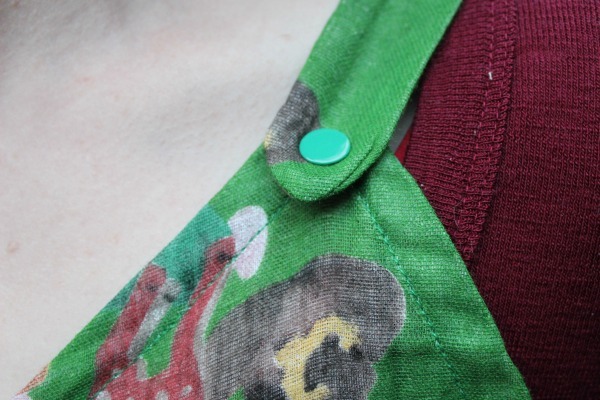 The snap fasteners are a brilliant touch! I love how you have winter-ised this pattern. I had put mine on the “wait until summer again” pile, but you’ve just made me rethink that idea. I love the flat straps and that you are thinking well ahead and maternity-ising patterns – such fun. Love the summer-to-winter conversion, very clever! And yes, the print is very very you!